Discussion in 'Explorer Audio & Navigation' started by LONO100, January 17, 2013.
hi all, i recently upgraded a double din alpine deck with bluetooth capabilities in my 2003 sport trac. the install procedure is the same for second generation explorers as well. i also found a great place to mount the bluetooth microphone for a clean look. you can free the radio bezel by finding the two screws located between the radio and the hvac controls. im not 100 on this, but i think it was a 9/32". you can then start to pull the bezel off, but just get it loose enough to undo the wire harnesses for the lighter, the fog lights, and the rear window controls. once you get them all off, pull the bezel further and undo the wire harness to your radio. 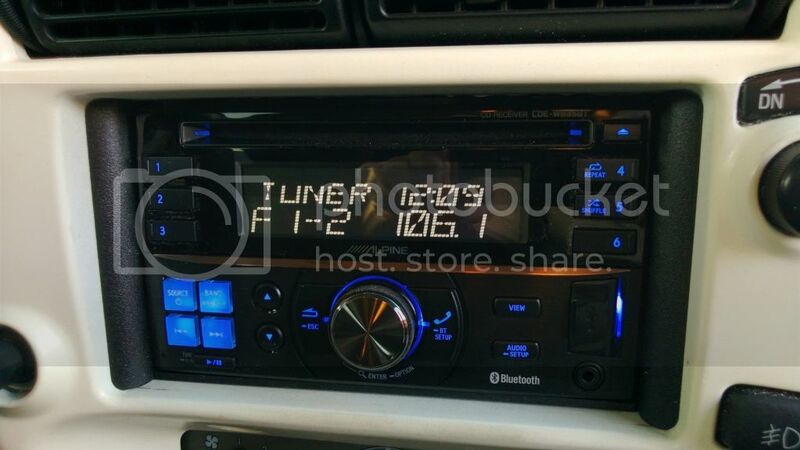 you can now pull the bezel all the way off and the radio and vents will come with it. you now slide your old radio out. 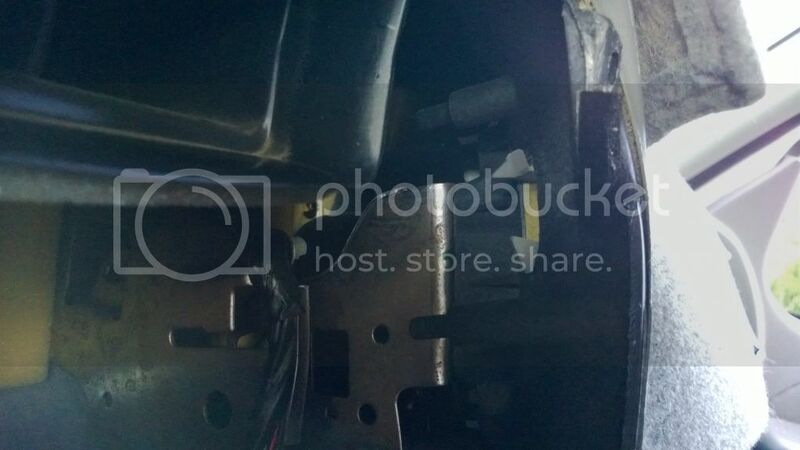 once its out of the way, you will see that there is a lip on each side of the radio slot. you can see it in the old photo i have of the bezel. WARNING! this next step will involve modifying the radio bezel, and after its done you will not be able to fit the factory radio, or a regular sized deck anymore. you can always go to a pick n pull and find yourself a spare bezel or two. i got me a couple for about 10 bucks each. be patient, and take your time when trimming. if you dont do a good job, it will show! make sure you trim it flush for a clean look. so with a dremmel tool, you will need to shave off the lips from the bottom and top sides of the radio slot flush. keep the side lips, you will need them! 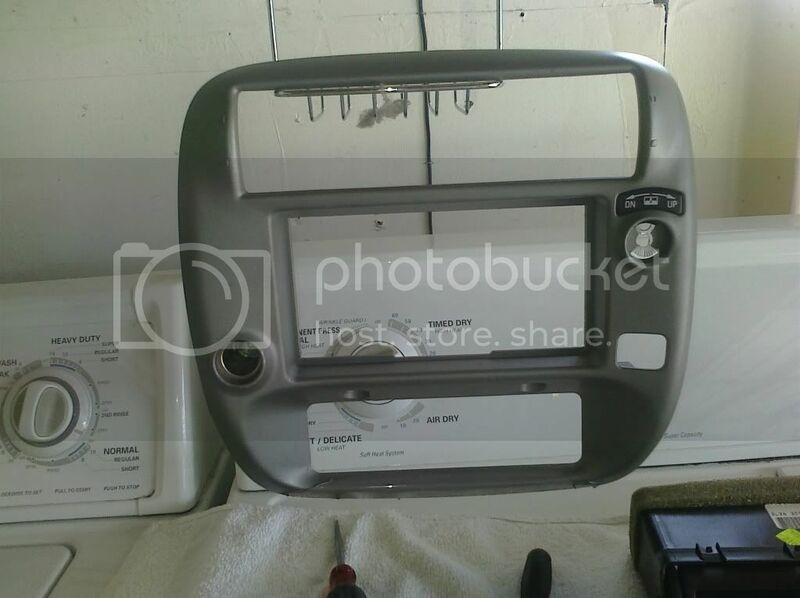 so with the top and bottom sides trimmed, you are now ready to get the double din deck into the bezel. first you will need an install kit. be careful when looking for an install kit, when i went to my local shop, i told them i needed a kit for an 03 explorer sport trac, and these guys gave me a kit for a regular 2003 explorer. when you go to your local shop, it would be wiser to tell them you need a kit for a second generation explorer from 1995 to 2001.
so when you have the kit, take the two side brackets and line them up and put in the screws, two on each side. once you get the brackets on, slide the radio into the bezel from the front side of the bezel. gently push it through until the side brackets snap into place with the side lips. then slap the bottom trim piece that comes with the kit. 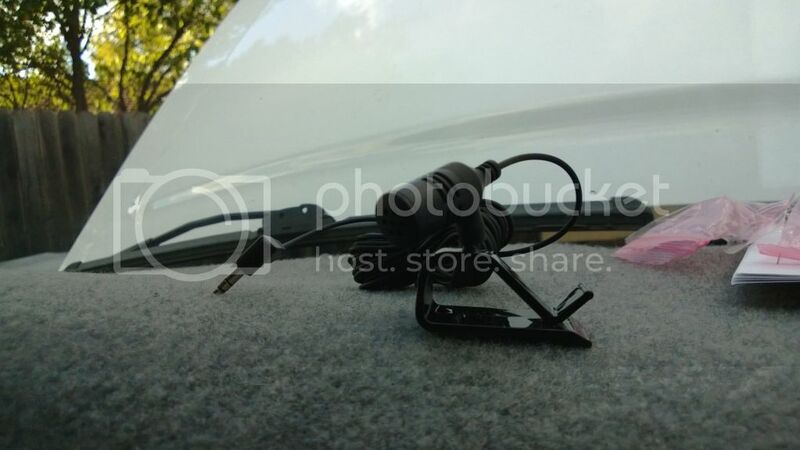 if you are installing a double din unit that has bluetooth capabilities, i found a great place to put the microphone where it will be out of sight, and no exposed wiring. with the help of some gorilla double sided tape, i was able to mount the mic behind that little vent in the center of your dash. just slap some gorilla tape on the back of the microphone mounting clip and stick it so that the mic sits lined up with the little vent. i think in mountaineers of this style, the little vent was used for climate control, im not sure. but if you dont have anything already sitting behind this vent, its a great place to put a bluetooth mic. once you get the mic mounted, just slap all of your wire harnesses back on, connect the radio to its harness, the antenna and the lighter, and slap the bezel back in. ive tested and used my bluetooth function since the install and the mic comes in clear and bright, even though that little vent isnt directly pointed toward the driver. so far i love this deck. alpine always makes the best receivers, the controls are easy to use, the bluetooth works awesome, and the sound is great. i also love the fact that i can plug in my phone or my thumb drive to play music. best of all, the deck only cost 200 bucks! hope this helps anyone doing a double din install, if you have any questions just ask. i didnt go over any wiring because i had already wired my rig to an alpine harness for the first aftermarket deck i put in, so it was just plug and play with my new alpine, but if you need any help doing an install, feel free to chime in. Thanks, it was worth every bit of the 200 bucks spent, and the Bluetooth function is easy to use and awesome. Even with the mic under the dash where I have it, I come in loud and clear. I also love the fact that I don't have that little pocket under the radio. It looks more factory now. My headunit now has blue tooth and I use it all the time! It's fantastic. Just with the iPod interface was better. After I get my new amp and sub box built I'll have to shop around and try this. Clean install. 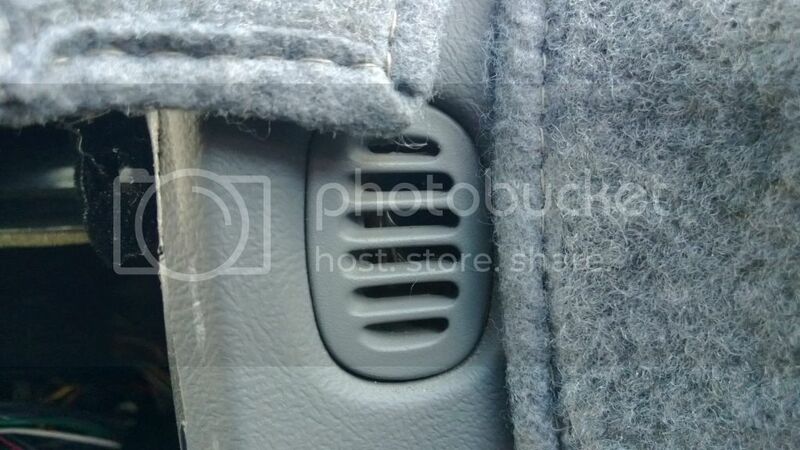 did you block off the vent that goes to that spot on the dash? I have a single Din Bluetooth Alpine unit, and I love it. I put my mic clipped to the visor, and just hid the wiring around and down the a pillar. 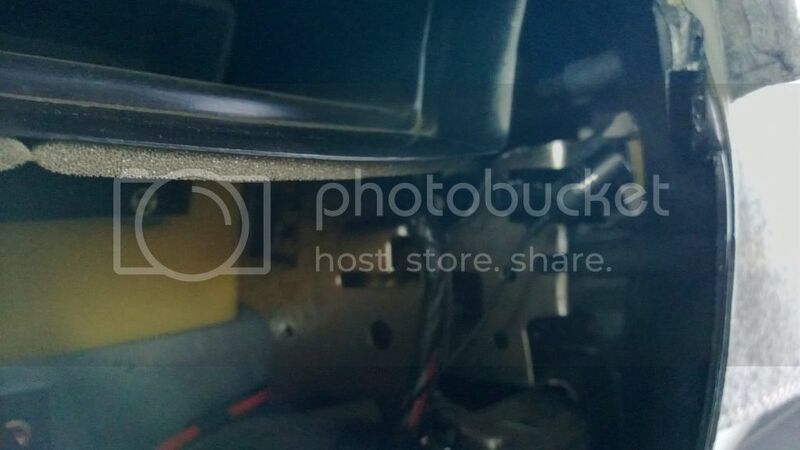 In my sport trac, there are no vents or ducts going to that little spot. 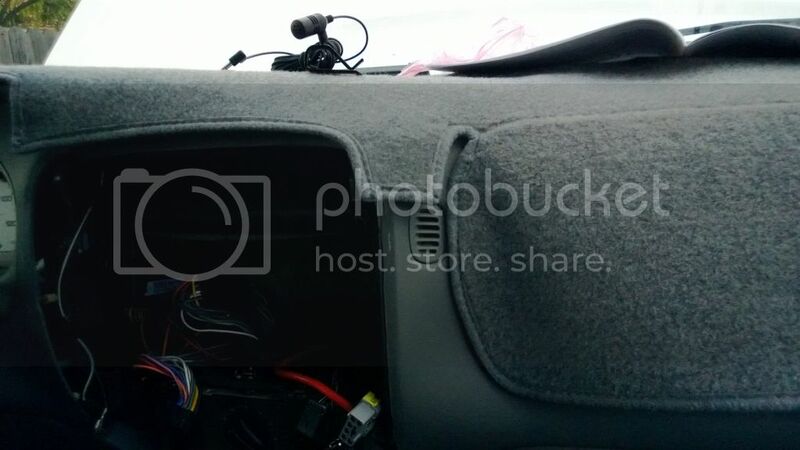 Its just wide open and i mounted the clip to the inside of the dash and pointed the mic out. No wires, no mess! Great job man !!! Clean work as always. In case anyone is seeing this , I know it's an older thread, I mounted mine up in the left hand corner of the windshield , Gorilla glued it to the corner and pointed it at my face, works like an ear and "collects" my voice around the mic-kind of how singers use their hand as a "scoop" when trying to hear themselves , all callers say they hear me very well. Just my 2 bits. 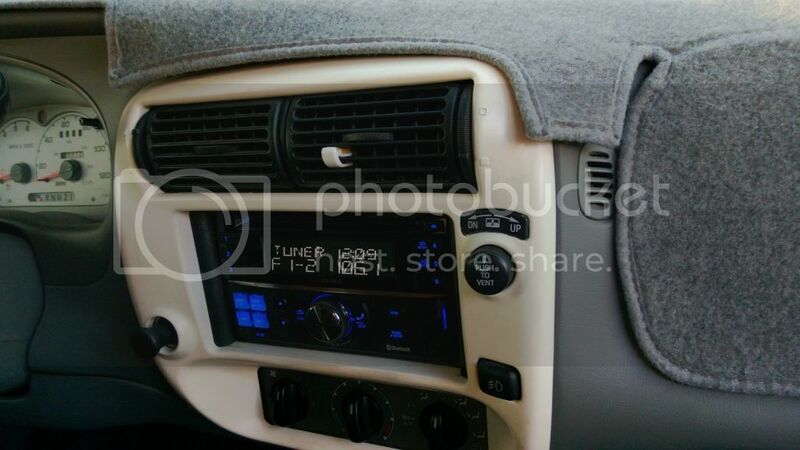 I know this is an ancient thread, but this is the perfect guide to what I'm wanting to do in my 01 ST.
My only question is...what is that little vent in the dash for? Does anybody know?